DOB is a psychedelic known for its potent nature and long-lasting effects. It is pretty uncommon, though some use has been reported since the 1970s. It’s a clearly stimulating drug, distinguishing it from a psychedelic like psilocin. The substance is part of the DOx class of substituted amphetamines. Although the psychedelic effects generally subside within ~24 hours, stimulation and insomnia sometimes persist up to 36 hours, which is influenced by the dose. Because the drug can take hours to become clearly active, impulsive redosing is a concern. Don’t redose even if it doesn’t appear to be working in the first couple hours! DOB can be compared to 2C-B and LSD in terms of its core effects. Though it lasts longer than both and may have an overall higher rate of negative experiences. It generally causes less thought-warping (e.g. thought loops, very strange thinking) than a psychedelic like psilocin, but confusion and severely altered thinking are still possible. The thought-related effects seem highly variable. Some describe it as “stronger” or more difficult than LSD, while others find it leads to more easily working through emotional, intellectual, and analytical content. In the latter class, this effect contributes to the substance being viewed as having a “clearer” mental state. Its propensity to occasion analytical and intellectual thinking is viewed as a significant positive effect by some. Some of 2C-B’s sexual and entactogen effects are also present with DOB. It’s generally more stimulating. Dissociation has been reported quite a bit. It may involve a feeling of detachment from the body, mind, or environment. This is sometimes reported to a lesser extent on the following day. Users can feel very happy and more empathic. They can also feel distraught, anxious, and stressed. There are a few factors that may raise the chance of a positive experience. Those include having prior psychedelic use, truly understanding what you’re taking, and having a complete 24+ hour period available. A lot of users find it’s difficult to ever feel “at ease” on DOB. The negative physical effects can include mild to severe nausea, muscle cramps, and a general feeling of unpleasantness. Sensory enhancement is common. There are conflicting reports about the visuals. While many users report significant visual effects, some of the earliest and formal reports indicated visuals aren’t a major part of the experience. In fact, it produces little to no visuals at common doses, according to some reports. When visuals are present, they’re generally reported as more along the lines of distortions of perception than a lot of colors or fractals. More complex changes can occur, such as faces being altered to a significant degree. DOB is very stimulating and has a prominent amphetamine-like quality. The stimulation may appear in the first 1-2 hours before the psychedelic effects really begin. Its stimulation can be uncomfortable, leading to feelings of jitteriness and unease. The feeling of stimulation may balance out and become less uncomfortable by about 3 to 5 hours, though not always. DOB’s stimulant quality can contribute to a user feeling physically stronger and possibly more confident (mainly in terms of having “confident” thought processes). Sleep is sometimes possible by ~15 hours. Others find wakefulness is provided for at least 25-30+ hours. It may increase the chance of vivid dreams and there could be some residual mental effects upon waking. The threshold for any notable effects appears to be around 200 ug. 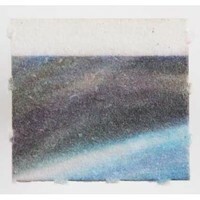 At light doses, DOB can cause color enhancement, minor visual changes, an impact on emotions and perceived meaning, and fairly clear psychedelic-like thinking. Common doses can lead to more stimulation, easier exploring of conceptual/emotional/intellectual items, light to moderate visuals, tactile enhancement, and the other core effects. Some of the bodily effects include muscle tension, nausea, and general discomfort. Strong doses raise the chance of visuals as well as the chance of discomfort, confusion, disorientation, and greater thought changes. The duration is influenced by the dose. Light doses may only last 12 hours, while common/strong doses can last for 18-24 hours or longer. 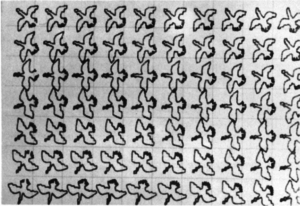 A 1971 paper from Chile looked at the impact of the drug in a psychotherapeutic setting. It was given at 0.2 to 2 mg orally. As the dose increased, so did intellectual and emotional stimulation. Meanwhile, no dose effect on perception was apparent. The drug was basically devoid of perceptual distortions. It was compared to MDA. It differed in that subjects were more active and had greater contact with the environment. There was a sense of greater significance with ordinary events and there was a motivation towards introspection, similar to other psychedelics. DOB at 1-2 mg lasted for 11 to 24 hours, with an onset for some effects of about an hour. DOB at 0.05 mg/kg and LSD at 10-15 ug/kg led to similar physiological responses in terms of pupil dilation, increased heart rate, increased temperature, and increased respiration. DOB at 0.1 mg/kg produced head and body shakes, as well as limb flicks. It’s a substituted amphetamine in the DOx class and the amphetamine analog of 2C-B. The substance is distinguished by a bromine atom at the 4 position and two methoxy groups. DOB has been developed as a radioligand with 3H, 77Br, and 82Br. Often sold as a racemate, within which R-DOB is the more active form. It is likely operating through serotonin receptor agonism. 5-HT2A may be a primary site of action, with 5-HT2B and 5-HT2C also potentially affected. DOB has CYP2D6 inhibitory properties, but not to the degree that interactions are likely, according to one report. A study using guinea big trachea found DOB led to partial agonist effects at 5-HT2 receptors that were blocked by ketanserin, pirenperone, and Ly 53857. Suggested serotonergic and possibly dopaminergic involvement in the drug’s activity. Test used behavior in cats: head-body shakes, limb flicks, and abortive grooming. A larger haloperidol dose (0.4 mg/kg rather than 0.2 mg/kg) significantly reduced head-body shakes and limb flicks. Activity in cats was blocked by cinanserin, a 5-HT2A and 5-HT2C antagonist. Methysergide was also effective in preventing all behaviors. Repeated DOB application in rats led to a significant reduction in frontocortical 5-HT2 binding sites and 5-HT2 signalling. Although it had no affinity for glutamate binding sites, it also reduced mGlu2/3 signalling. This suggests tolerance to shaking behaviors in rats may not just come from 5-HT2A downregulation but from adaptations of downstream glutamate receptors. DOB first accumulated in the lungs after IV administration, followed by the liver and brain. It was immediately found in the lungs, the liver’s max concentration appeared in 0.5-1.5 hours, and the brain’s max concentration appeared in 3-6 hours. Similar distribution was seen after oral administration, but without the initial pulmonary concentration. The drug is highly metabolized. Only a small amount of unchanged drug is excreted. At least some demethylation from CYP2D6 is present and one of the demethylation metabolites is 2-methoxy-5-hydroxy-4-bromoamphetamine. A study in rats suggested DOB undergoes single or double O-demethylation, oxidative deamination, and then reduction to the corresponding alcohol. First synthesized by Alexander Shulgin. It was created to look at the impact of 4-position substitutions on metabolic stability. The first published report about the drug appeared. Shulgin found in toxicology tests that the LD50 in mice was around 100-125 mg/kg (IP), while the threshold dose was about 0.004 mg/kg. This was taken to mean the therapeutic index (LD50 in mice/ED50 in humans) was around 1,000. We now know the safety ratio is much smaller. Confirmed to be a highly potent psychedelic and unique among psychedelics at the time for possessing a high atomic weight atom (bromine) that’s important to its action. 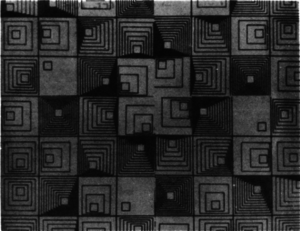 DOB was proposed as a tool for brain scanning and it was eventually developed as a radioligand. Shulgin used it as a radioligand, reporting that in himself and three others it first accumulated in the lungs post-injection. This was supportive of DOB potentially being a prodrug. A study suggested serotonergic and possibly dopaminergic actions of the drug based on results from cats. Use was reported in Australia, Germany, Greece, New Zealand, the UK, and the US. One report showed unit doses in the US ranged from 0.93 to 2.8 mg. It was particularly important in Australia and to a lesser extent New Zealand, with it first being detected in the former in 1976. Between 1976 and 1981, it was seized by police in Auckland, Sydney, Adelaide, and Brisbane. DOB was seized more frequently than any other hallucinogen, whereas it represented just 2% of seized hallucinogens in the UK around the same time. Since there was a high seizure rate among police and a low rate among Customs, it was suggested manufacturing was taking place locally. “Thousands” of doses were reportedly analyzed by local labs. 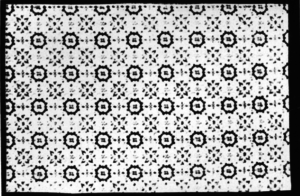 It was generally present as the HCL salt and sold on blotter paper. 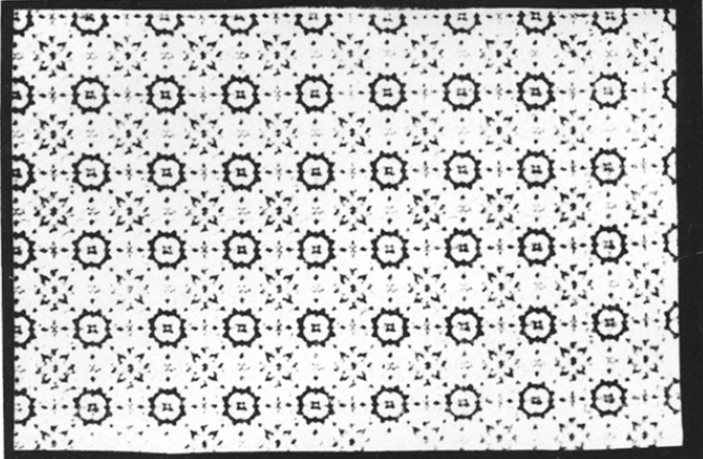 In 1982, there were eight new blotter designs observed by a laboratory in just a few months. Evidence from analyses indicated the concentration varied significantly. In one example, the strength per unit was 1.4 to 4.6 mg. 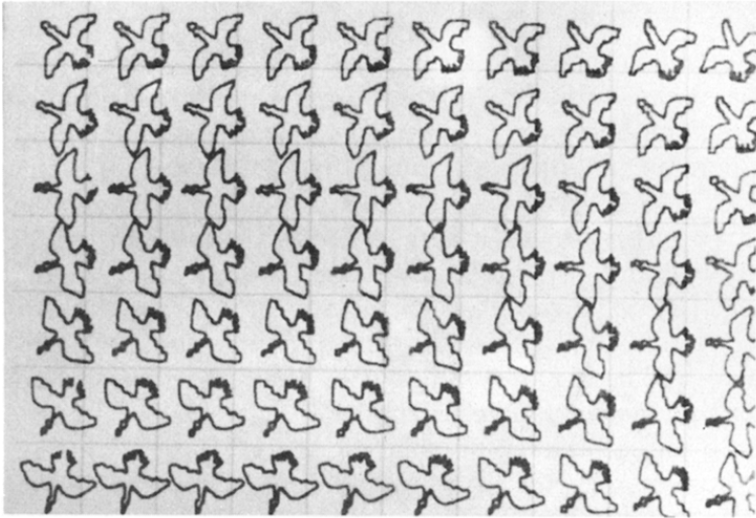 The variable doses and the fact that it was generally being sold as LSD (or like LSD) contributed to overdoses. Multiple nonfatal and fatal overdoses were recorded around this time. Two treatments listed in the case reports were diazepam and haloperidol. A clandestine laboratory in Victoria, Australia (1980) was found to be synthesizing DOB from 2,5-dimethoxybenzaldehyde. Another laboratory in the UK was found to be synthesizing with an eight-step method from hydroquinone. The Netherlands’ Drug Information and Monitoring System (DIMS) reported an analysis of 33,006 MDMA tablets. DOB was rarely detected during that time, with a rate of about 1-10 cases in some of the years. DOB’s dose per tablet ranged from 0.4 to 5 mg, with an average of 0.9 mg. Authorities in Sao Paulo, Brazil received 31 gelatin capsules containing a small amount (estimate of 1.5 mg) of white powder. DOB was found in those samples. Multiple drugs were seized during a vehicle stop in Burns, Oregon. Blotter paper was among the drug samples and it was found to contain DOB. Energy Control in Spain received 22,062 samples and just 13 contained DOB. They were mainly sold as DOC, DOB, and LSD. Of the 13, 9 were on blotter paper. 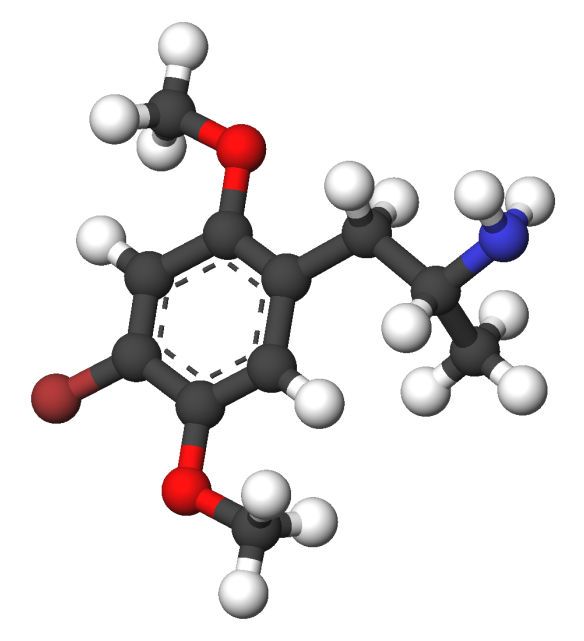 DOB is rarely reported as an adulterant in the MDMA and LSD markets. It is occasionally used intentionally, but intentional use has always been low. The dose in monkeys is much lower and appears to be the same in humans. It’s safe to say the potentially fatal dose in humans should be treated as closer to monkeys than mice or rats. The primary overdose concerns appear to be cardiovascular issues and seizures. Vasoconstriction is a major problem with the drug. One study using vascular strips from dorsal metatarsal vein (dog) found that DOM and DOB activated serotonin receptors. It’s possible this could contribute to a direct impact on peripheral vascular tone. 75 mg in a young female who had built a tolerance reportedly led to ergotism-like complications that necessitated amputation. She ended up with bilateral above-the-knee amputations following diffuse peripheral vasospasm. About 3.5 mg or higher is where the chance of overdose becomes more significant. Other stimulants, other psychedelics, MAOIs, and tramadol. Boyfriend reported her taking four pieces of paper, believing it was LSD or DOM. 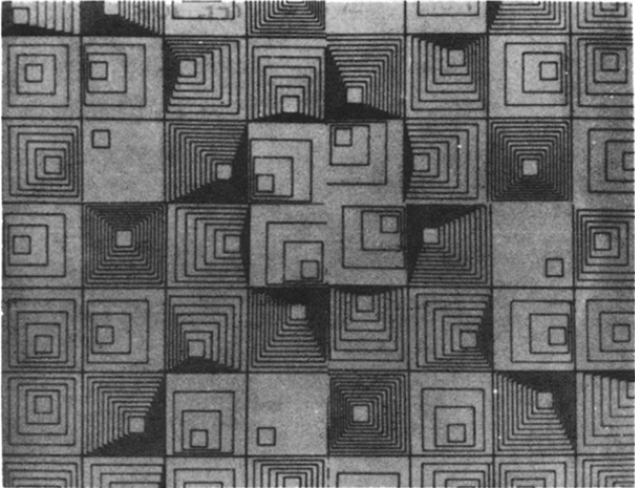 A laboratory reported DOB being found on a paper with a similar design. She had frightening hallucinations of the devil, flashes of light, and saw people disintegrating. She became excited and he tried to control her by slapping her face. This then led to her falling on the floor and developing convulsive movements, during which she bit her tongue. Attacked people who came near her. Adopted unusual postures like putting feet in air or hugging her knees. Attempted to pick up invisible objects, but denied having hallucinations. Disinhibited – Tried to undress in presence of the male doctor interviewing her. Most answers to questions were unintelligible. 20 minutes later she fell asleep. The following day she seemed to be fully recovered. Reported that the effects were stronger than other hallucinogens in the past. Unable to remember the details of events between administration to arrival at psychiatric department. Police called to naval dockyard where he was frothing at the mouth and tried to assault the naval police. Had to be carried into ward because he would drop to the floor and assume the fetal position otherwise. Laughed and cried to himself. In possession of a packet containing small green-colored pieces of paper. 3 of 8 pieces of paper were analyzed quantitatively. Contained 1.9, 2.7, and 3.5 mg of DOB. Awoke and was oriented, but too drowsy to answer questions. Reported having taken “acid” from someone and used two doses. Wandered around for several hours. Unable to recall his contact with police and having been brought to the hospital. Took up to 15 “hits” per day of liquid. Ingested the liquid in a dispensing bottle and then split open the bottle to lick what was remaining. Progressive paresthesia, coldness in the extremities, and severe right hand pain. Denied using other drugs or having hallucinations. Also didn’t report preexisting vascular problems. Acute distress, complaining of right hand pain. His feet and hands were cold and blue, with poor capillary filling. Seemed otherwise healthy and was oriented and neurologically intact. Vasospasm was identified based on results of angiogram and symptoms were responsive to vasodilators: tolazoline and sodium nitroprusside. Tolazoline rapidly alleviated pain in his right hand after injection into the right brachial artery. Symptoms reappeared after an hour, at which point sodium nitroprusside (IV) was given for 72 hours. Tolazoline was also given when his right leg became symptomatic. Unconscious by arrival at the hospital. 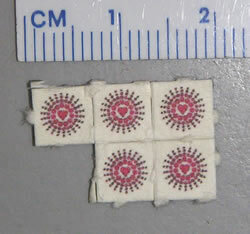 Person who distributed the “LSD” was apprehended and analysis of the confiscated paper revealed DOB presence. Reportedly took a large amount intranasally, believing it was MDA. Pronounced dead at the hospital. Said to be connected to cerebral edema and seizures. Tissue and blood analyses showed the presence of DOB. A 22-year-old male was also present in the vehicle. He had a small amount of white material in a bag in his shirt pocket. Male was admitted to the hospital and was comatose for several weeks, but he ultimately survived. Two men had a capsule filled with a white powder. Rapid onset of hallucinations in ~15 minutes, followed by vomiting and unconsciousness. Both admitted to hospital while in coma. Survived, but experienced serious convulsions and was restless, necessitating strong sedative treatment. Deep coma without response to pain. Attacks of generalized convulsions along with metabolic acidosis. Analysis of gastric and urine samples from the subjects confirmed the presence of DOB. (2015) Tolerance to LSD and DOB induced shaking behaviour: differential adaptations of frontocortical 5-HT(2A) and glutamate receptor binding sites. (2010) Chemistry, pharmacology, and metabolism of emerging drugs of abuse. (2009) Content of ecstasy in the Netherlands: 1993-2008. (2008) 2,5-Dimethoxyamphetamine-derived designer drugs: studies on the identification of cytochrome P450 (CYP) isoenzymes involved in formation of their main metabolites and on their capability to inhibit CYP2D6. (2007) Chemical identification of 2,5-dimethoxy-4-bromoamphetamine (DOB). (2007) Screening tablets for DOB using surface-enhanced Raman spectroscopy. (2007) Distribution profile of 2,5-dimethoxy-4-bromoamphetamine (DOB) in rats after oral and subcutaneous doses. (2006) Designer drugs 2,5-dimethoxy-4-bromo-amphetamine (DOB) and 2,5-dimethoxy-4-bromo-methamphetamine (MDOB): studies on their metabolism and toxicological detection in rat urine using gas chromatographic/mass spectrometric techniques. (2005) Differential phospholipase C activation by phenylalkylamine serotonin 5-HT 2A receptor agonists. (2005) Nonfatal and fatal DOB (2,5-dimethoxy-4-bromoamphetamine) overdose. (1999) LSD and DOB: interaction with 5-HT2A receptors to inhibit NMDA receptor-mediated transmission in the rat prefrontal cortex. (1987) Potent agonist activity of DOB at 5-HT2 receptors in guinea pig trachea. (1987) Selectivity of serotonergic drugs for multiple brain serotonin receptors. Role of [3H]-4-bromo-2,5-dimethoxyphenylisopropylamine ([3H]DOB), a 5-HT2 agonist radioligand. (1985) [3H]DOB: a specific agonist radioligand for 5-HT2 serotonin receptors. (1983) Bromo-DMA: the Australasian hallucinogen? (1983) Diffuse vascular spasm associated with 4-bromo-2,5-dimethoxyamphetamine ingestion. (1983) 4-bromo-2,5-dimethoxyamphetamine: psychoactivity, toxic effects and analytical methods. 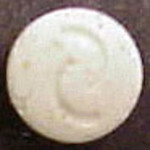 (1981) A death due to 4-bromo-2,5-dimethoxyamphetamine. (1980) Bromo-DMA: new hallucinogenic drug. (1971) 4-Bromo-2,5-dimethoxyphenylisopropylamine, a new centrally active amphetamine analog.